SOMETHING TO SINK THEIR TEETH INTO. 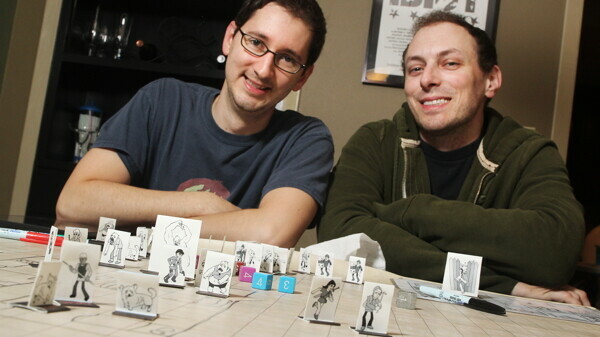 Craig Sieracki (left) and Matt Scott are the creators of Chomp!, a role-playing game in which players must battle zombies hordes. Grab a plant or a coffee pot: It’s time to pick a weapon and prepare for a zombie invasion. Do you think you and your friends could use everyday objects to defeat the dead? Now is your chance to give it a shot and get creative. 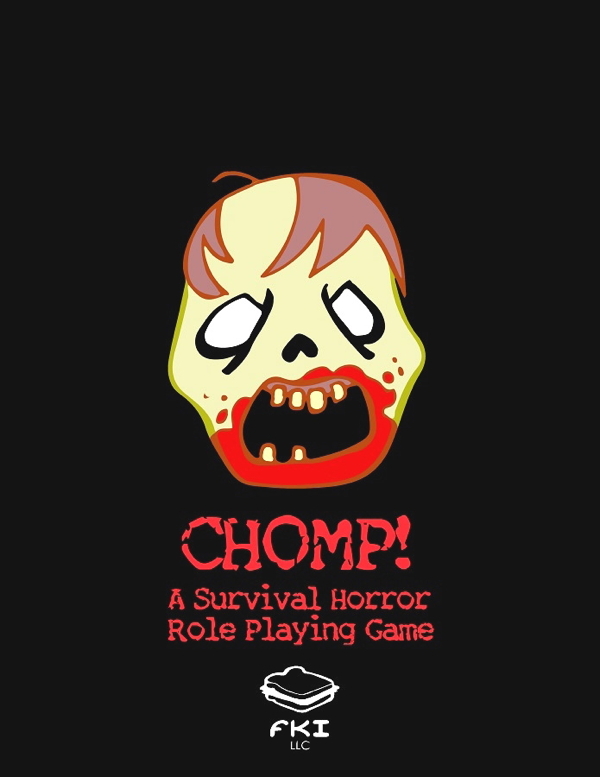 Two locals embraced their creativity and nerdy side to create a tabletop role-playing game called Chomp! that will put you in the middle of what they call a Zombieland situation. Craig Sieracki and Matt Scott – best friends and creators of the game – wanted to invent a game that was fast and easy to set up. “I wanted to make a game that we could play in a matter of two to three hours, start to finish just like a board game, but has that role-playing aspect so we can never grow up,” Sieracki explained. The game requires a minimum of two players, but there’s no maximum number; get crazy with it if you want, although the creators suggest capping it at five. 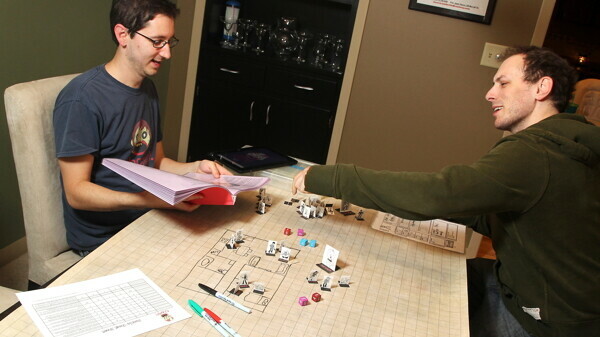 Each player is assigned a random character, traits, and skills, and that’s where the game really begins: The stories and situations created are all your own. What if a zombie is crawling through your window? Will you fight or will you run to your car? Whatever you chose to do – no matter how “out there” it may seem – the outcome is determined by a roll of dice and a game card that directs you to the next situation. When Sieracki and Scott play, they use inspiration all around them, including their neighbors, and they encourage people who play the game to do the same. “It does add a little twang, versus saying ‘Oh a zombie came up’ – no, it’s really his next-door neighbor with his leaf blower. He is a great guy,” Scott said.